SAVANNAH, GA – April 16, 2019 – On May 4, several thousand local Comcast NBCUniversal employees and their families, friends and community partners will “make change happen” as they volunteer at three projects across Savannah as part of the 18th annual Comcast Cares Day, the nation’s largest single-day corporate volunteer event. This year’s projects will support Coastal Empire Habitat for Humanity, Coastal Pet Rescue and Family Promise of Greater Savannah. Additional volunteers are needed and encouraged to attend a project. For more information on how to get involved and to register, visit https://comca.st/2GqfVnO. Comcast Cares Day is more than just a day – it is an illustration of the spirit of volunteerism that our employees bring to life each day. From using technology to create positive change, such as teaching digital literacy skills, to mentoring youth, stocking food banks, and beautifying parks, Comcast NBCUniversal employees volunteer during this celebration and throughout the year to make a lasting impact. 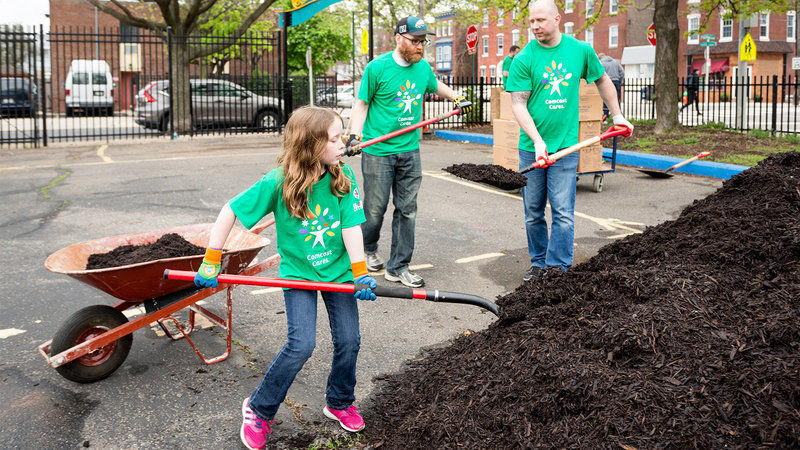 To date, more than 1 million Comcast Cares Day volunteers have contributed over 6 million service hours to improve local communities at more than 10,000 projects. This year, the Company expects more than 100,000 volunteers from Comcast, NBCUniversal, and for the first time Sky, to participate in projects across the country and around the world. The Comcast NBCUniversal Foundation will also provide grants to local partner organizations on behalf of volunteers who contribute their time on Comcast Cares Day. The grants will help Comcast’s partners continue their mission of serving the community throughout the year. To date, the Comcast NBCUniversal Foundation has awarded nearly $25 million in grants to local nonprofit organizations who have served as partners on Comcast Cares Day. For more information on Comcast NBCUniversal and Sky volunteer and community impact initiatives, visit https://comca.st/2GqwwaX.